As we are now into the off-season, the question on everyone’s mind is – how will the Orioles rebuild their organization from the ground up? Now, Dan Duquette is at the helm of the Orioles and he’s got quite the monumental task of restoring them back to prominence. In a few interviews that Duquette has given in the past week or so with the local media, it looks like he will focus on building the team up via draft picks, trades; in addition to trying to find players who could be serviceable, while not breaking the bank. That means that there will not be a C.J. 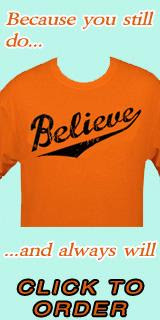 Wilson, Mark Buehrle, Albert Pujols or Prince Fielder in the orange and black for 2012 – unless a big surprise or miracle happens. It looks like the Orioles will not be big players in free agency and going to build from the ground up – again. It’s not a bad plan to follow; however, the formula for one reason or another, has not worked at all for the organization. As a fan, I would like to see a player or two signed that I can go the ballpark and say, “damn, with this guy, he can be an impact player andange a ballgame”. Not that the current crop of Orioles can’t do the job; however, there’s not an impact bat or arm on the squad heading into 2012 that can be a game-changer. Right now, the Orioles needed another starting pitcher or two, possibly a corner infielder, a bullpen arm or two, maybe a second baseman and a backup catcher (not so important right now). I know that many of us fans are really tired of seeing the team lose more often than win. The Orioles are once again in a state of flux. After a trainwreck of a GM search they finally have their man in Dan Duquette. Duquette seems to be as fine a choice as any, given the circumstances. We shall see what Duke, or Deaux-k if you must, will do in the first of his three years with the team and he has a lot to do. The one thing this team needs more than anything else is just for something - anything to go right. Call it planning, development or luck last year the Orioles saw key players inexplicably under-perform. Brian Matusz and Chris Tillman were just the two most visable examples. Brian Roberts lost virtually all season to a head injury. Nick Markakis seemingly forgot how to take a walk and his OBP plummeted. Matt Wieters turned it on late, but was mediocre for most of the summer. Adam Jones had a break out year, but he is still not considered to be the elite player we hoped he would be. The only true bright spots to last year's team was the remarkable season of JJ Hardy. It was something that just worked, and worked better than anyone could have expected. Andy MacPhail's tenure was marked by the mantra: "Grow the arms, buy the bats." That was the plan, it has failed thus far. Was it a bad plan - no. Why hasn't it worked is a matter open to debate. Even notable curmudgen Keith Law admitted that he is rather baffled how everything could go as poorly as it has. That is what the Orioles are in drastic shortage of, something just working for a change. The virtual entirety of Andy MacPhail's reign as GM is littered with the failed execution of a good idea and the only person that should be rooting for this more than the legions of Orioles fans in the greater Baltimore area is the owner himself, Peter Angelos. Duquette is signed on for three years, this hire and the moves made over this offseason and the next two are it; they are Peter Angelos' endgame. At the end of Duquette's contract Angelos will be on the wrong side of 85. One has to assume that there is little chance of him operating the team in the same capacity as he is approaching 90 so this tells me that Angelos has to be looking at the next three years as his legacy. Right now his legacy is being the on the short list titled, "The worst owners in the history of sport." It’s been a pretty pathetic week in sports with the Joe Paterno/Penn State drama, the NBA lockout going on and Washington Nationals catcher Wilson Ramos being kidnapped in Venezuela. At times, spectator sports – amateur, collegiate and professional – sometimes needs to put into their proper context in society. For me, they serve as a diversion to life and entertainment – nothing more, nothing less. However, this week, I’m learning in a very blunt fashion, that sports are a ruthless business and those who run it are in it more the power and prestige, rather than for altruistic reasons. The aforementioned sentence is a pretty well-known statement; alas, it’s now been taken to a whole new, disgusting level over the past few days. I know better to believe big-time sports in a Pollyana-ish view, but I cannot believe what is going on in Happy Valley. Big time sports can be an ugly business; however, when scandal erupts at a university – a place for higher learning – it’s beyond appalling. A university should be run with education and preparing students for the real word, not like a multi-national corporation. As we all know, Dan Duquette was named as the new general manager of the Baltimore Orioles this week. Frankly, it came as a surprise to me that his name was even brought up for the position; however, considering his experience with the Expos and Red Sox, plus his track record, the Orioles made out pretty well – in my opinion – with their general manager search. Duquette has not held an executive level position in major league baseball since 2002, when he was fired from the Boston Red Sox. The Orioles have not won since Bill Clinton was president. Camden Yards was packed every night and there was a buzz on game day. Now, that feeling is pretty much gone. Maybe it is a good match, and perhaps both sides are now hungry for success, plus restoring some old glory. The two sides have an enormous challenge in front of them. On Tuesday, Duqeutte gave a press conference to lay the groundwork of rebuilding the Baltimore Orioles and also give us all a formal introduction to who he is. Duquette said all we expected him to say – the rebuilding of the Orioles starts with the farm system, player development and getting the arms. He seemed pumped, well-spoken with his expectations, and sincerely wants to restore the Baltimore Orioles as one of the elite teams in the sport. Despite another poor season for the Orioles, they did get some well-deserved national recognition as both Nick Markakis and Matt Wieters were selected as Rawlings’ Gold Glove winners. We all know the impressive job that Wieters did behind the plate, firmly establishing himself as of one best young catchers behind the plate. He was a defensive marvel behind the dish, stopping would-be base stealers with his amazing arm and working with a young pitching staff. As well, he often put his body his body on the line, blocking home plate and preventing runners from scoring. Although many can argue that Wieters has not lived up to billing he received when he came up from the minors, he has shown to be quite a wise investment for the future of Baltimore baseball. As for Markakis, it seems that his first Gold Glove award has been a long time coming. We all know as Oriole fans that the right-fielder is one of the most steady, reliable players in the game; however, I’m sure because he plays for a last-place team for a mid-market team, he gets overlooked when it comes to recognition. I contended for a long time if Markakis played in Boston or New York, he would have a much higher profile than he would didn’t play with Baltimore. On Thursday, the official start of free agency begins in Major League Baseball and the Baltimore Orioles still do not have a general manager. Yesterday, Tony LaCava – who currently is under employment with the Toronto Blue Jays – turned down the offer from the organization, after meeting with the organization a few times and getting pretty far in the interview process. It seemed like LaCava was the man for the job; however, for one reason or another, he was not exactly feeling the Orioles. Considering there are only 30 general manger jobs in Major League Baseball - and they don’t open up often - it’s a little surprising to see someone turn it down. At the moment, I would assume the principals of the story really know what happened, but the Orioles are in a pretty rough spot now. I guess one must wonder how the organization could not fill a position with such importance when they knew it was being vacated for a while.